I grew up with a mother who recorded everything for posterity, like she didn't want to miss a thing. It was a given that I would share her enthusiasm for documenting my own children's early years. And where she had her trusty Minolta, I have my phone. And although I love my Canon and use it often, there have been so many candid moments that would otherwise been lost had it not been for my iPhone. A moment just like this one. When these two arrived in my bed first thing as they quite often do. I love that I captured a whispered moment between them. What were they discussing? A trick to play on me, what they were going to have for lunch, maybe a eager request for a shot on the playstation! Who knows. But I know that in years to come I will still be asking that very question when I look at this photo. In this shot and with most of my photography, I try to seek out natural lighting and will turn out lights if at all possible to avoid any orange glow. I've pinned back curtains and opened doors to flood as much daylight into the room as possible. I always use VSCO Cam to edit my photos and will try out a few before selecting, usually from the minimalist range. I straighten and crop the photo and will then alter the exposure and saturation, perhaps sharpening the image if need be or upping the grain if i feel it needs to be more atmospheric. The majority of my instagram pictures are edited through VSCO Cam but occasionally I will head to PicTapGo afterwards and try out the filters there. I don't worry too much if I don't get the perfect shot - photography should be fun, especially when photographing your children. After all, capturing the mood and the moment of your loved ones is way more important then whether you picked the right filter. 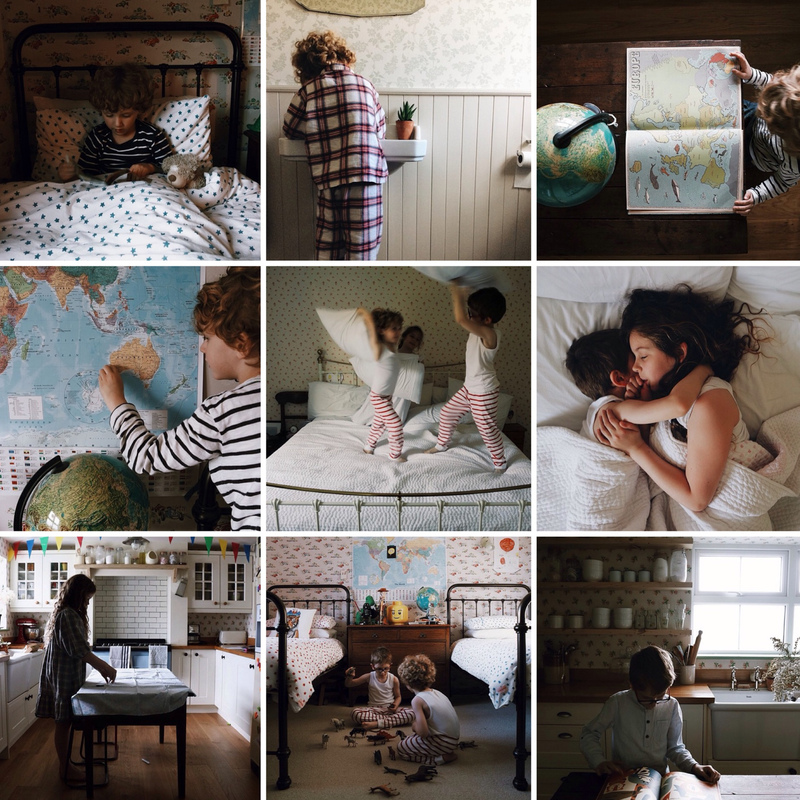 You can see more of Fiona's beautiful iphone photography on her instagram feed.